The Bachelor of Science with Honours in Computer Engineering is a two-year top-up degree programme. Holders of a Higher Diploma or Associate Degree in computer engineering or a related area may apply to this programme. The programme provides an early exit option for graduate with a Bachelor of Science Degree on completion of the required 40-credit courses. This programme covers the software and hardware that make up a computer system, with courses in specialized areas focusing on computer systems design, multimedia processing, and computer networking. 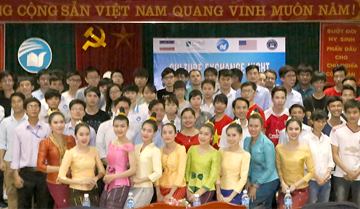 Graduates of this programme are equipped with comprehensive knowledge on the design and implementation of the systems and components that make up a computer system. Potential employers include computer product development companies, system solutions companies, and IT departments of large companies or organizations. Premier employers include the Bank of China, Cathay Pacific, Foxconn, HP, Huawei, PCCW and Smartone. Other graduates have chosen to further their studies in local and international universities. We regularly organize technical visits to companies and facilities related to electronic and computer engineering. Through these events, students have the opportunities to learn about the newest trends in technology, possible career prospects, and how engineering innovations contribute to the society. 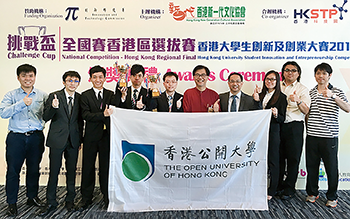 Full-time computer engineering students won the Second Prize in the ‘Challenge Cup’ National Competition - Hong Kong Regional Final. The project related to Information technology in innovation. The competition provided them with an opportunity to broaden their horizon and share their experiences with outstanding innovative and entrepreneurial talents from across mainland China. 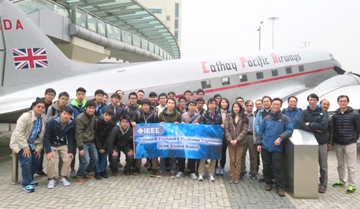 After winning the Best Paper Award at the IEEE International Conference on Consumer Electronics – China 2015 with his design of “low-cost intelligent pillbox”, full-time Computer Engineering graduate, Leung Wai-yin, was hired by the industrial collaborator of the project. His idea was then realized as a commercialized product. The intelligent pillbox is a portable device for reminding the elderly and patients with chronic disease to take the right dose of medicine on time. It can be connected via SMS, and remotely controlled by the mobile phones of doctors and patients’ families.